I can't wait to meet you and help you realize your musical dreams! I have been lucky to play and teach violin and viola all over the world, and I hold a Bachelor of Music in Classical Viola from University of Michigan, and an M.A. in Composition from Wesleyan University. 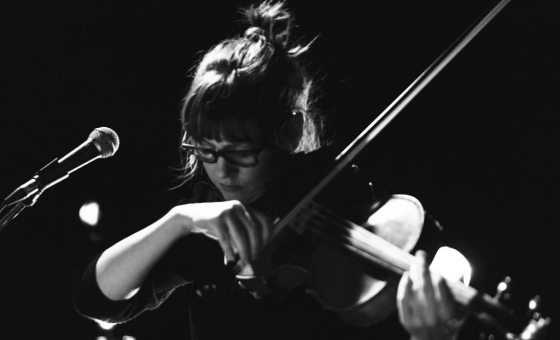 From 2009 - 2013, I worked with San Francisco Conservatory leading After School Strings, and in 2015-2016 I was the violist/backup vocalist for international tours with songwriter Julia Holter. 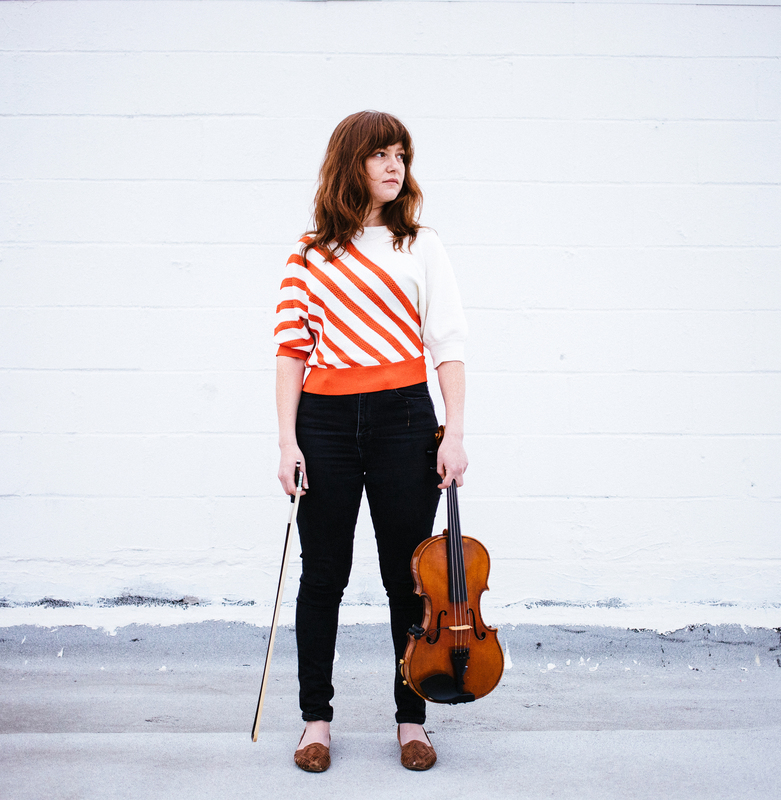 As an original member of Real Vocal String Quartet, I recorded two albums and performed and taught masterclasses across the U.S. and in Europe with the American Music Abroad program. My folk-inspired groups Carolyna Picknick and Guts & Buttons have recorded several albums of traditional and original music and performed widely in many settings from cafes to weddings, and I am avidly interested in many non-classical styles including Klezmer, Old-Time, Choro, Celtic, and others. I recently co-wrote the new musical, Sweet Land, which premiered in May 2017 at History Theatre in St. Paul, MN. Ramon & Jessica's adaptation of The World is Round, a 1939 children's book by Gertrude Stein, was staged in a May 2017 workshop by Berkeley's Just Theater. I encourage each student to approach music with both dedication and imagination. As a teacher, I see it as my job to notice what activities light a spark of joy, and to use what comes naturally to motivate progress in challenging areas. Whether players are excited by melody, rhythm, performing, or joining a social activity, I offer tools that resonate with each individual, emphasizing good technique, accurate intonation, beautiful tone and physical ease, while instilling a solid rhythmic foundation. I also devote time to the joy of music-making, setting aside technical concerns to engage creatively at whatever level a student may be capable of that day. I enjoy skill-building activities that allow students to be unselfconsciously musical, and above all, to be themselves! I have forged a diverse and rewarding performing career in chamber, traditional, and popular music on both viola and violin, appearing on hundreds of stages, from Albuquerque to Azerbaijan. This breadth of “real world” experience allows me to model the relevance of musical exploration, and to help students connect their own practice to the music they hear in everyday life. As a cultural ambassador with American Music Abroad in 2012, I presented musical concepts to all ages and levels of students, sometimes without a common verbal language. I learned to think on my feet and adjust quickly to the needs of learners from different backgrounds, and to balance my own teaching priorities with students' playing level and interests. Based on student level and interests! Dina is great! She is encouraging, kind, and offers clear explanations of concepts and techniques. Thanks, Dina! Dina is so encouraging, and she really helped me stay focused on the positive in today's lesson. I am excited about the new material I get to practice! Thank you, Dina! It was so nice to meet Dina, today! She was very kind and made me feel at ease immediately. This was my first lesson with her, and I can’t wait for the adventure ahead! Thank you! Teacher Dina is very attentive, professional, and understanding. Because of her kindness, it helps my transition from in person learning to online learning so much easier. Also, she was able to help me with my bow technique.